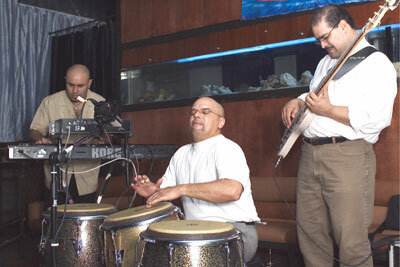 Little Johnny Rivero and his trio were featured throughout the month of April at the Arka Lounge in New York City. The native New Yorker and his exceptional group of musicians dazzled patrons with their vibrant approach to Latin Music. An outstanding conga player, Little Johnny faced the spotlight playing a custom set of LP Galaxy Fiberglass Congas. 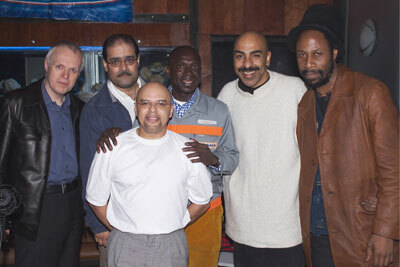 Gifted musicians, Ruben Rodriguez and Ricky Gonzalez, accompanied him on bass and keyboard respectively. Rodriguez has performed with many talented artists including Tito Puente and Roberta Flack. Gonzalez, a Salsa producer and Piano player, has also performed with some of the best performers Latin music has to offer including Mark Anthony. A friend from England, Lekán Babaloia, who joined me for the evening’s concert, mentioned that the performance was worth the trip from London.